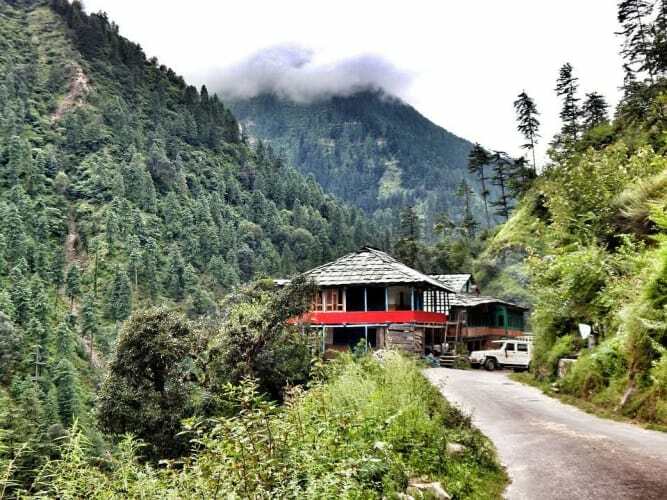 Located in the Kullu district, Tirthan is still remains unexplored. Head to the mountains with pristine view of Tirthan river & unwind amidst nature. Board the bus/tempo traveller and overnight journey from Delhi to Tirthan. Reach Tirthan in the morning. Riverside resort/camps check-in, freshen up & rest for a while after the tiring journey. After some rest, you may have lunch. Then we will visit Gaidhar waterfall. A walk to Gaidhar waterfall will ease your mind and refresh your souls. Although it's a bit steep trek but it will be a enjoyable one. Feel free to have a peaceful time with a clear mind. Before returning from Gaidhar waterfall, make sure to get enough clicks of the beautiful sights, later you may engage in fishing and other activities like river crossing and rock climbing. The evening time make sure you have a good time meeting and greeting your fellow travellers near the river side at resort/campsite. Have dinner & overnight stay in Tirthan. Wake up early morning, enjoy the morning view of Tirthan. Refresh and have breakfast with morning tea. Check-out from resort/camps, then we will drive from Tirthan to Jibhi. En route Jibhi, we will visit Serolsar Lake. To reach Serolsar lake, there is a small trek from Jalori Pass market via Banjar. Trail to Serolsar lake pass is through a dense forest. Before the trek, make sure to carry water bottles and some snacks. From Jalori Pass to Serolsar lake, it takes about 1.5 hrs to complete the trek. When we reach serolsar lake, you will surely find serenity in the prestine lush mountains and a beautiful view of the blue sky above. We will spend some time near Serolsar lake and then continue our journey to Jalori Pass. You may have lunch around 2:00 pm, then we will drive to Jibhi resort. After check-in, rest well and enjoy the scenic view around the resort. Have dinner and we will stay overnight in Jibhi. Wake up early morning, enjoy the morning view of Jibhi. Freshen up and have breakfast with morning tea. Check-out from resort. After check-out, we will visit Chaini fort. There is a 3-4 hour trek which leads to Chaini Village. The trek has breathtaking views on the way, also trail passes though small villages situated amidst the beautiful cedar forest. Chaini is rich in stunning chinese architecture which is pretty famous. We will spend some time there and later return back to Jibhi. By late noon, we will arrive in Jibhi. Overnight journey from Jibhi to Delhi. 1 night stay at riverside Resort/Camps in Tirthan. Taxi for local sightseeing or personal travel. Charges for river crossing, fishing etc. Any monastery entrance fees, Any joy ride/biking/cycling. Booking amount will be refunded if cancellation is done before 30 days from the departure date. Prior to the departure date, booking amount is non-refundable due to the pre-booking of your hotel rooms and other necessary arrangements for the trip. To be confirmed at the time of the booking.